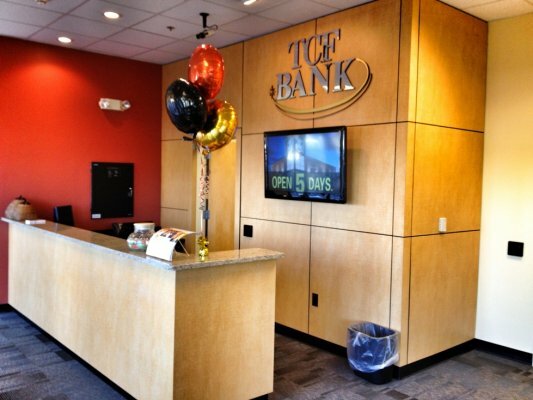 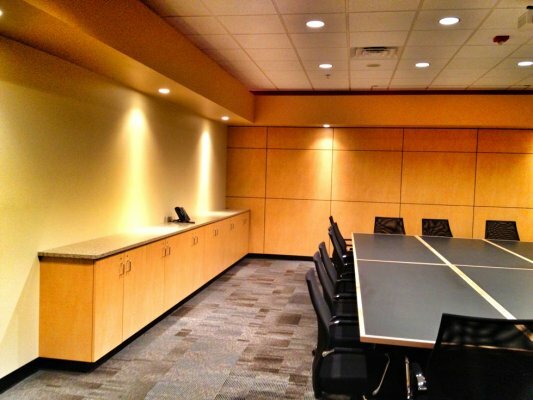 When TCF Financial decided to make a presence in Sioux Falls, we were ready to go to work on the project. 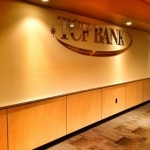 These custom designed cabinets and interior signs were built by the skilled craftsmen at Creative Surfaces. 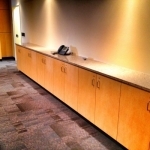 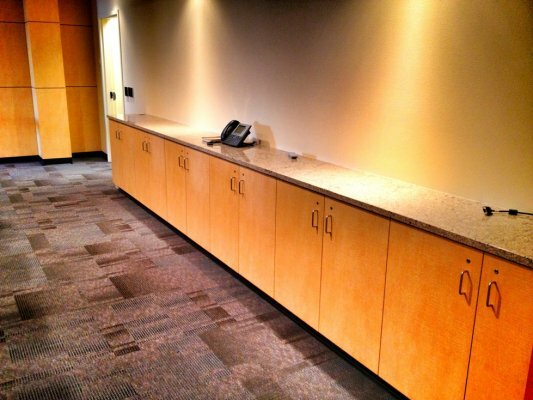 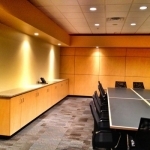 The reception desk and conference room cabinets were built using Nevamar plastic laminate “Mikado” with Cambria “Aragon” quartz countertops. 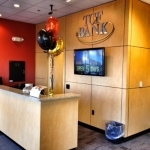 The sign used in three areas of the bank are 1/2″ black plexi dimensional letters with Chemetal faces using a combination of “Brushed Copper”, “Brushed Brass” and “Polished Aluminum”. 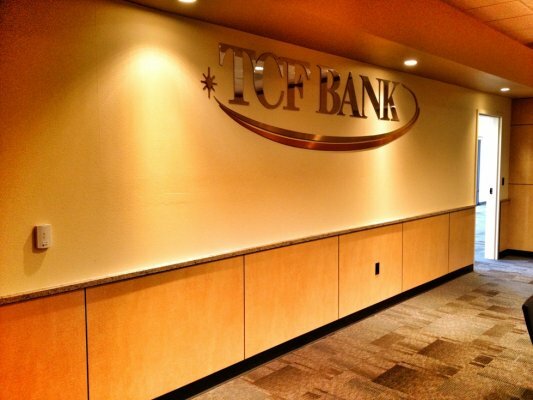 Watch for additional TCF projects as they continue to expand.